The Rapture before January 21, 2019? The Rapture will most likely take place in April 2022! Do not sell your house! But very many remain behind with the Rapture! I was shocked with the idea that there might be Christians among you who might want to sell their house, this because of the approaching Rapture. That is why I have added this short report. 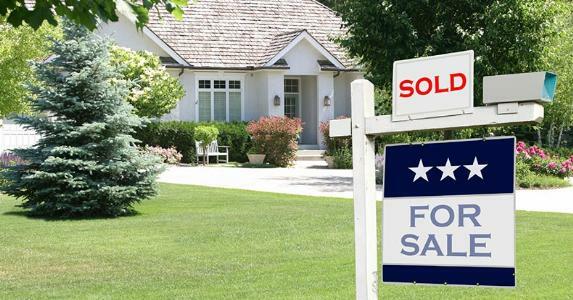 Make sure you are not going to sell your house just because the Rapture is about to take place soon. This verse has to do with the Rapture, because many – very many will stay behind! That means that the Rapture is already in sight. Suspected Rapture March/Apr 2022. There are Christians who would really like to know what motivated me to think that the Rapture would take place before Jan 19, 2019 and they find it unfortunate that this report has been removed. Now see a small part of the former report. It has hardly changed, only I have adjusted the times. The rest is in the new report. This video (short version) I saw first on Saturday, July 14, 2018. After listening to the sermon, I now had the confirmation that Jesus would return before Jan 21, 2019. This vision of Selvaraj corresponds with aug.2018 and that of the five Fiches 59 because there are exactly five months in between. There are Christians who think that the salutation is wrongly indicated. But that is not true. Many visions on YouTube end in the year 2018. In the sermon of Sadhu Sundar Selvaraj he did not say that Jesus will return with the Rapture before 2019. That is why many Christians think that the salutation should be changed because this is not in the sermon. If the great Revival indeed had begun in Aug.2018 and the false Prophet was to rule for five months, then these two visions aug 2018 and five Fiches 59 would, in this case, have turned out well. But what I did not know was that the last Week of Daniel would begin as from August 23, 2018, and that the false Prophet shall nearly become 59 years,with one month to go. (Born February 5, 1962) In this case the two visions correspond exactly if the Rapture would take place on January 21, 2019. There are also exactly five months between them, hence. But as we already know, the last Week of Daniel has started on Aug 23, 2018 and in July/Aug 2021 the false Prophet will reveal himself. Then exactly five months later the false Prophet shall be killed and three days later the Antichrist, with a “Walk-in”, takes over the body. That will be in January 2022. The people will not dare to leave their house in those days. 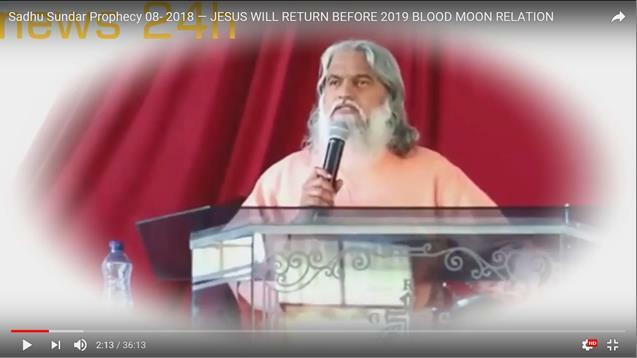 Initially I first let myself be seduced by this video of Sadhu Sundar Selvaraj JESUS WILL RETURN BEFORE 2019 BLOOD MOON RELATION in which the Lord has clearly told him that he would visit the Earth with an iron Staff! However, this video report has to do with the fact that the Nations would agree to Gay Marriage and actually has nothing to do with the Rapture. But I was under the impression that the saying “Make your house in order” could have something to do with the Rapture, which in this case has a different meaning. It seems as if the Lord is talking about the Rapture, but that is not the case here. Is your house however not properly cleaned or after the Rapture sloppily left behind, then in heaven your house will look just like that. Although to King Hezekiah of Israel, after his plea to the Lord, another fifteen years had been added to his life, he then left his house clean and tidy. Second coming Jesus before May 16, 2022!